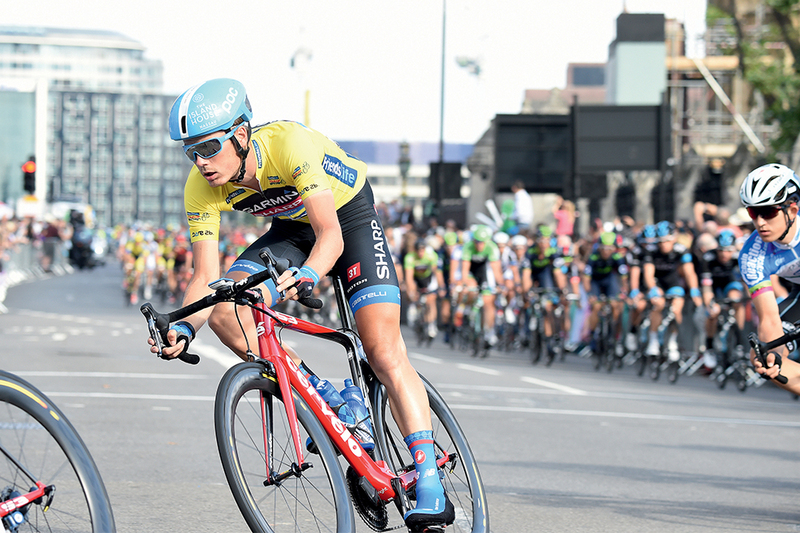 Two days before the 2014 Tour of Britain started in Liverpool, Charly Wegelius, directeur sportif of Garmin-Sharp, confidently predicted that Dylan van Baarle and his Cervelo S3 would win. On the penultimate day, his forecast was realised as the Dutchman chipped off the front of the peloton in a breakaway. The small group containing van Baarle finished in Brighton, a minute and 20 seconds ahead of the peloton, enough of a gap to see the 22-year-old slip into the leader’s jersey. With only two stages to go — the double header in London consisting of a short individual time trial and a circuit race destined to end in a bunch sprint — the race was dans la sac as they (might) say in France. It was a big win for van Baarle, and for Garmin-Sharp, which is merging with Cannondale at the end of the 2014 season. It was a big win for the latest version of the Cervelo S3, the bike that van Baarle chose as his weapon of choice. Van Baarle used the S3 to maximum effect: it is designed for riders that ride on their own or in small breakaways and that’s exactly what he did. Its lineage goes back to the aptly named Cervelo Soloist, the bike that spearheaded a trend for aero road bikes. 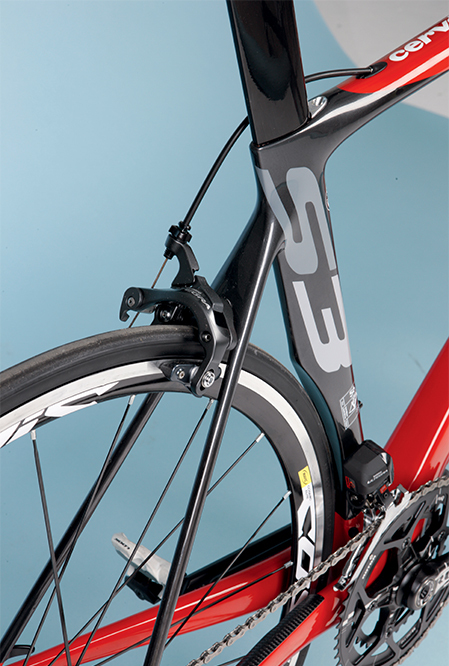 The first S3 was launched back in 2009, but it was the following year that its design was honed for the Cervelo Test Team (at this point, van Baarle had just left school). Big chainstays were the order of the day and it got a stealthier colourway. It also got Thor Hushovd the green jersey at the Tour de France. 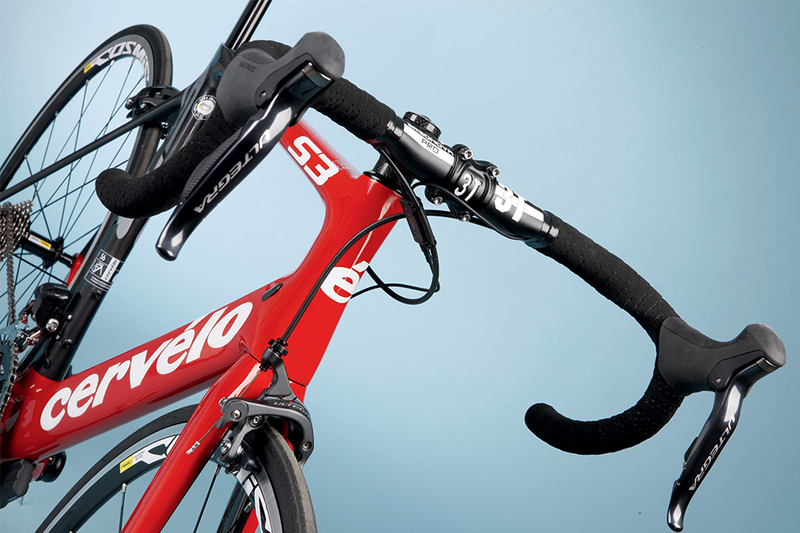 Production of the S3 stopped when Cervelo created the S5. Whether Cervelo had intended to cease production entirely was a bone of contention. The S3 had a lot of fans, most famous of the lot, David Millar. The S3 was a hit with the bigger, more powerful riders: the rouleurs, the sprinters, the guys up at the sharp end of the bunch, as much as it was escape artists such as Heinrich Haussler who won a stage of the 2009 Tour de France after a 195km solo effort in the wind and rain (the stage was only 200km in total). When this latest version was unveiled, the concern was whether or not it would be received as well as its predecessor. Would it be like a reformed rock band with a new lead singer? Well, to continue with that metaphor, it’s like the band reforming and writing their best album to date. To start, the old S3 didn’t have Cervelo’s renowned asymmetric BBright bottom bracket. This has given the new frame more stiffness where it’s needed without simply putting more carbon around the BB and adding weight. This has improved the BB’s stiffness by 16 per cent, whereas torsion of the bike is now 23 per cent stiffer; huge increases on the previous S3. Where the old S3 falters in terms of its comfort level (it had little, it was built to go fast primarily), the new one does not: Cervelo has taken the rear triangle from the insurmountable Cervelo RCA. It means that the gargantuan chainstays are a thing of the past; however, their replacement, combined with the ultra-thin seatstays, mean that the bike is fast and has enough compliance to keep riders fresher for longer. The old S3 didn’t have cable routing for electronic cables. Instead the bike came with instructions on where to place a Dremel. Needless to say, nervous owners instead opted for mechanical groupsets, for fear of ruining their £3,500 frameset. The new frame is cheaper at £2,199 and has routing for both, as well as hydraulic systems. The frame also has something Cervelo refers to as ‘Refined Aerozones’. These areas, such as the new tapered head tube and down tube, have upped the slipperiness of the bike. The down tube particularly has been reworked to shield the bottles and stiffen the frames chassis. 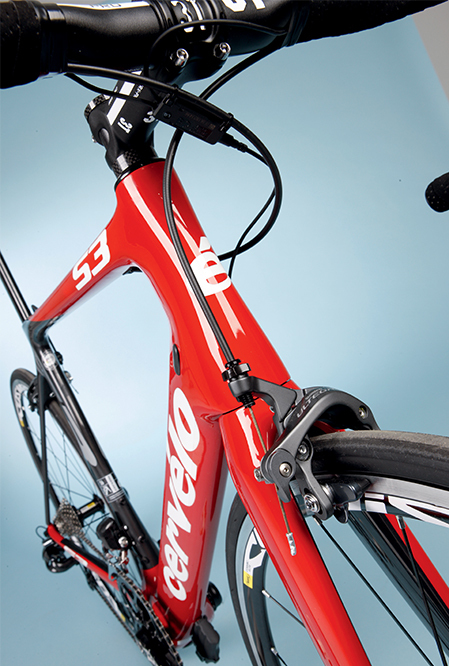 Up at the front of the bike, out goes the 3T Funda fork and in comes Cervelo’s own creation. 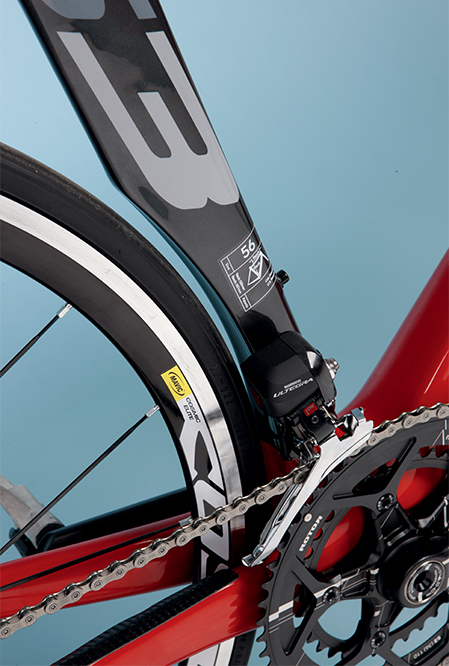 The new fork is laterally stiffer, which amounts to better tracking and handling. It also means riders are no longer limited to 23c tyres or smaller. The new fork gives enough clearance for wider 25c tyres. On the previous version, tyre clearance on the rear wheel was wafer thin, not only under the bridge, but also on the seat tube as well. The new design has a partial seat tube cut-out that gives more room for bigger tyre options. It also improves airflow around the rear wheel for greater aerodynamics. The S3 still appeals to the bigger guys: the rouleurs, sprinters and breakaway artists, and in the case of van Baarle, it was his breakaway that won him the race. But the new S3 is even more versatile. It retains the fun and thrill of its forerunner, but loses many of the negatives. It’s better. It’s cheaper. It’s still a race winner.